Wellsville Manor ranks in the top 20% of New York State Nursing Facilities for Quality Measures! 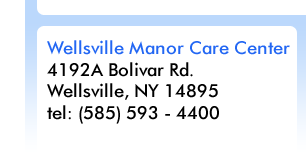 Wellsville Manor Care Center recently received results from the NYS Nursing Home Quality Initiative (NHQI). for 2016, Wellsville Manor ranked in the top 20% of nursing facilities in the state for quality measures! These results reflect the exceptional care we provide for our residents. A Wellsville Manor, we are dedicated to providing the highest quality of care and compassion for our residents. Our dedicated staff are committed to ensuring each resident is cared for and treated like family. Wellsville Manor is proud to be a receipent of the 2016 Eli Pick Facility Leadership Award, awarded by the American College of Health care Administrators. This award is given using objective public data that identifies high performing skilled nursing facilities. Data is collected through the Center for Medicaid and Medicare Services. Awards are given based on no health, fire safety and complaints within the past 3 years, occupancy of at least 80% among other high quality healthcare criteria. Wellsville Manor has been a recipient of this award for the last 2 years, and it shows the committment Wellville Manor has to providing the highest quality of care for our residents. Wellsville Manor Care Center Residents and Activitties Department have created a new committee, the WMCC Helping Hands. WMCC Helping Hands is a committee in which residents discuss ideas for community outreach and cultural ideas for Wellsville Manor. WMCC Helping Hands will be involved with community charities, community events, and much more! We are excited to help our residents stay active and involved in our community! 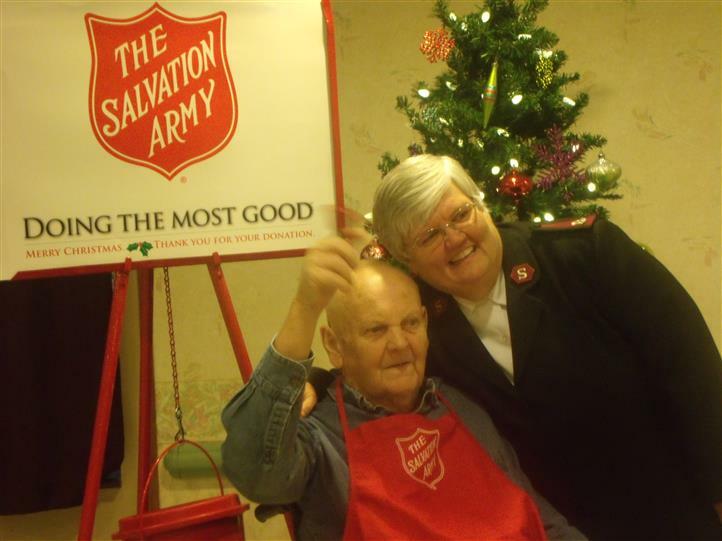 Clair Coyle was recognized on November 30th, 2016 for 55 years of service as a bell ringer. Over the course of his 55 years of volunteer work, Clair has often been a top fundraising volunteer, one year, raising over $6,000. Clair's selfless service is a great example of how volunteers can help so many in need. Wellsville Manor congratulates and thanks Clair for his many years of service.